No one plans to experience a spinal cord injury. To help you prepare, take a look at some of the most commonly asked questions about life after a spinal cord injury. At least 265,000 Americans are living with spinal cord injuries, with between 11,000 and 12,500 new cases each year. 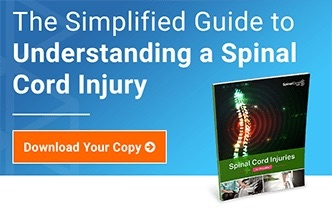 If you've recently experienced a spinal cord injury, you may be overwhelmed by the dizzying array of information your doctors, loved ones, and other caregivers have offered you. Ultimately, what you really want to know is what your life is going to be like after your spinal cord injury. The truth is that no one, not even your doctor, can answer that with absolute certainty. Spinal cord injuries are unpredictable. Some survivors with catastrophic injuries spontaneously walk. Others undergo years of physical therapy just to move their fingers. A common theme is that survivors who work hard, embrace healthy living, protect their mental health, and never give up tend to have better outcomes. You can join their ranks, even if your physical recovery is slower than you might like. Here are a few things to know about life after a spinal cord injury. 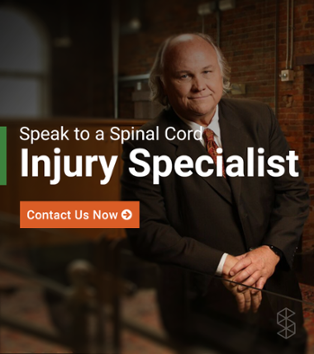 Though it's impossible to predict the precise course of a spinal cord injury, knowing the location of your injury can help you determine the degree to which you will be disabled. Cervical spinal cord injuries are the most severe, inevitably resulting in quadriplegia. As injuries move down the spine, they become less life-threatening and less likely to permanently rob you of movement. It also matters whether the spinal cord injury is complete or incomplete. Complete injuries result in a fully compressed or severed spinal cord, significantly decreasing your odds of a full recovery. Incomplete spinal cord injuries, though, offer better recovery prospects, particularly as swelling goes down and your spinal cord grows less compressed. No matter where your injury is located, know that physical therapy and a healthy lifestyle really can make a difference, so don't give up hope. Skin problems, especially bedsores. Getting plenty of activity may help with this issue since bedsores are typically the product of lying in bed. Though well-respected philosophers like Rene Descartes have long tried to argue otherwise, the mind and body are not separate entities, and that which affects your body will also affect your mind. The challenges of life with a spinal cord injury can lead to depression and anxiety. Changes in your body may exacerbate these issues. For instance, some medications may change the way your brain processes certain neurotransmitters, making you more vulnerable to mental illness. You need psychological support after a spinal cord injury, so consider seeking therapy and enrolling in a support group. If you feel suicidal or overwhelmed, tell someone you love. Many spinal cord injury survivors are reluctant to try physical therapy, especially after they learn how difficult it is during the first months following an injury. It might seem impossible that a few simple movements could help you heal. But physical therapy has the power to rewire your brain and spine, enabling you to overcome myriad deficits. As with everything spinal cord injury-related, there are no guarantees, but everyone makes at least some progress with physical therapy. And some survivors make incredible progress. A spinal cord injury makes you more vulnerable to a number of health conditions, especially skin infections and obesity. The number one cause of death following a spinal cord injury is respiratory infections that turn into pneumonia, but other symptoms can cause serious problems, too. Life with a spinal cord injury means you need to take your health much more seriously. Report any unusual symptoms you experience to your doctor. One thing is absolutely certain: the injury profile you have to day is quite different from that which you will face a year or 10 years from now. 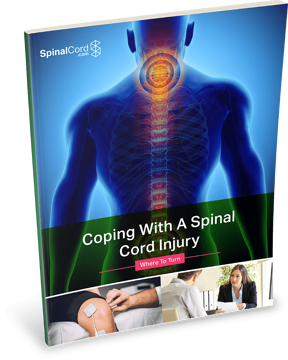 Spinal cord injuries change over time, particularly in the first weeks, when swelling is still an issue. Your doctor can give you the most accurate prediction for how your injury will change over time, but there is no foolproof method for predicting spinal cord injury trajectories, and your recovery journey may surprise you. It is a tragic fact that people with spinal cord injuries may face discrimination, but knowing this can help you prepare to be a good advocate for yourself. You still have a right to make medical decisions, even if those decisions conflict with what your doctor or family wants. Likewise, you have a right to be free of discrimination, and that includes employment, housing, and educational discrimination. It is illegal for a business, school, or employer to tell you you cannot be somewhere or do something solely because of your injury. It may help you feel more empowered to spend some time researching your rights, or to talk to a lawyer who specializes in disability law. There is no way to plan for something as traumatic and shocking as a spinal cord injury, so it’s completely normal and understandable to have questions. 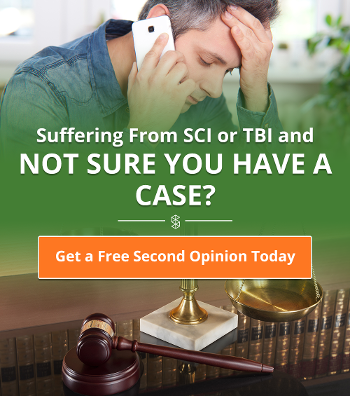 Take a look at the menu in the sidebar to the right for a list of some of the most commonly asked questions about life after a spinal cord injury.